Most of my readers are well aware that I am a huge supporter of a whole foods plant based diet, for the animals, the earth and of course, our health. You may not realize that I am also an advocate for safe & non-toxic cleaning and beauty products. I rid my home of all mainstream products about 8 years ago. Before that I had no idea the dangers I was posing upon my family in our own home. On a normal day I would be burning a Yankee Candle, spraying my windows with Windex, pouring carpet deodorizer before vacuuming and slathering toxic soap & lotions on my children. My head spins when I relive these actions in my mind. How could I possibly be so naive? All the signs of toxic overload in our bodies were showing up. Chronic eczema, asthma, allergies, hives.. yep we were a mess. Of course back then I was also feeding my family 3 meals a day filled with animal products. So needless to say, ‘You live and you learn’. Over the years I have used dozens of ‘natural’ products. From all purpose cleaners to shampoo & sunscreen. I’ve purchased them all… The two problems I continued to encounter were, #1~many of these products simply did not work. My husband will vouch for the fact that almost every natural deodorant on the market is a waste of money. Seriously. I have smelled not too pretty. I’m not proud to say it, but hey, breast cancer is not a price I will ever be willing to pay. And YES, I do believe that most deodorant/antiperspirants (the yummy smelling ones, that make you smell amazing for 24 hours) do cause cases of breast cancer. Let’s face it, drenching our under arms, near our precious lymph nodes, with aluminum, parabens and chemical fragrance, is never a good idea. The #2 issue with most ‘natural’ products is that many of them are simply ‘greenwashing’. In other words, they are not actually ‘green’ or ‘natural’. But these savvy companies know that when you put those 2 magic words on a product, we will fall for. I hate that they are right! I can’t tell you how many mom’s (and dad’s) buy these products and have no idea that they are filled with chemicals that are banned in other countries! Ugh!! Get mad! And more importantly stop buying these products! 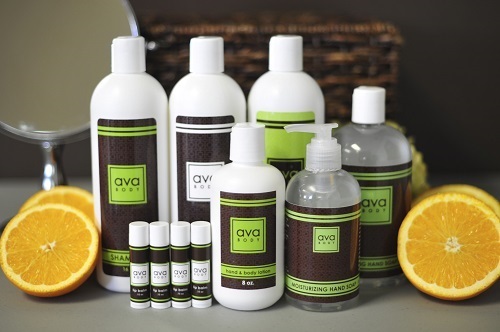 These days I am exclusively using Ava Anderson Non-Toxic home & beauty products on myself and my family. 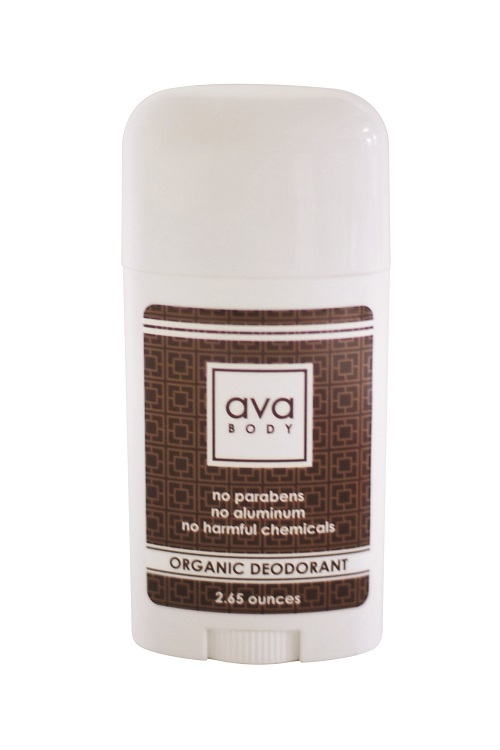 Ava’s line is completely natural and non-toxic. Don’t believe me? Every ingredient is listed on each of her products. Nothing is hidden and there is absolutely NO GREENWASHING!! Her entire line is never tested on animals and ‘Ava Home’ & ‘Ava Body’ is Vegan. Score!!! Her products are even adored by the amazing ‘Kris Carr’! Need I say more?? In case you are wondering… Yes, I have joined the Ava team. Can you blame me? 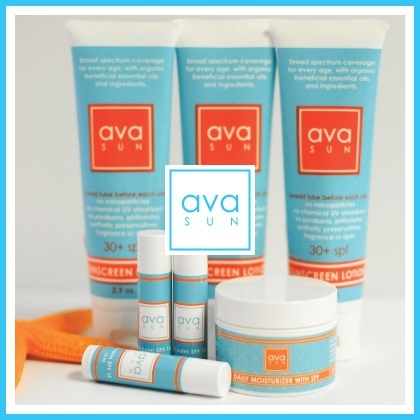 I would LOVE for you to support ‘The Vegan Mom’ by stopping by my ‘Ava Anderson Non-Toxic‘ page and trying out some products! I would Love it even more if you decided to join my team. How much fun would that be?! The best thing is, the deodorant works!! All day!! Please ‘Like’ my Ava Anderson-Non Toxic Facebook page. I will be doing a giveaway at the end of February. By liking my Ava Facebook page, you will automatically be entered to win. You will be entered twice if you ‘Share’ my page on Facebook. Easy enough! More details will be coming on Facebook in February! Read on and get educated about what is in most ‘other’ cleaning and personal care products. It’s scary, but we all need to know the truth! Did You Know: that Europe bans 1,371 toxic chemicals from their personal care products and the US bans only 11? the FDA does not regulate the personal care products industry and hopes that cosmetic companies will do their due diligence and issue safe products? “safe”, “organic” and “natural” does not mean your products do not contain any toxic chemicals as well? 1 in 2 men and 1 in 3 women will get cancer in their lifetime, 1 in 68 children and 1 in 42 boys are identified with autism spectrum disorder in the US, and that Alzheimers is up 500% in the past 20 years? according to the President’s Cancer Panel only 10% of cancer is genetic and 90% is caused by environmental factors? that your personal and home care products (from shampoo to antibacterial wipes to makeup) contain carcinogenic ingredients, neurotoxins, endocrine disruptors and allergens that could be downright hazardous to your health? Know Your Backside! Read your labels and avoid the following chemicals: FRAGRANCE can be legally hidden in hundreds of ingredients in “fragrance” or “parfum”: a “trade secret” in the industry. More than 75% of the time if you have fragrance, you have legally hidden phthalates (THAL ates), known endocrine disruptors, that are linked with birth defects, breast cancer, infertility, liver, cancer, diabetes, obesity, and now with autism and ADHD in pregnancy by Dr. Philip Landrigan, Mt Sinai, Children’s Environmental Health Center. PARABENS: Preservatives linked to breast cancer, endocrine disruption, reproductive toxicity, and developmental defects. California Study (10/11) of BPA and methylparaben combination turned healthy cells into cancer cells, and rendered tamoxifin ineffective. TRICLOSAN: is the active ingredient in “anti-bacterial” products, is registered with the government as a pesticide, and is a known endocrine disruptor. Triclosan is believed to disrupt thyroid function and contribute to liver and inhalation toxicity. OXYBENZONE and OCTINOXATE: (and other chemical sunscreen “active ingredients”) are UV ray filters that are also known endocrine disruptors. PETROLATUM & TETROLEUM INGREDIENTS: endocrine disruptors and carcinogens. IMPORTANT NOTE: ALL SIX OF THE ABOVE ARE “ENDOCRINE DISRUPTORS” and are in many products that you use daily – and some will have multiples! They are important to avoid, because the endocrine system regulates ALL biological processes in the body: development of the brain and nervous system, growth and function of the reproduction system, metabolism and blood sugar levels, ovaries, testes, pituitary, thyroid and the adrenal glands. (Natural News) The World Health Organization and the UN recently released a report that called endocrine disruptors a “Global Threat.” Small amounts matter, especially to the developing fetus. PEG’s (polyethylene glycol) are petroleum byproducts. During manufacturing process carcinogenic contamination is created: 1,4 dioxane, which is a known human carcinogen, with liver and kidney effects. SODIUM LAURYL SULFATE (SLS) and sodium laureth sulfate (SLES) are considered carcinogens. SLES is something contaminated with 1,4 dioxane. You will never see 1,4 dioxane on a label, as companies are not required to list carcinogenic contaminants. INGREDIENT THAT ENDS IN “-eth”: like ceteareth, triceteareth, etc. Also carry the contamination concern for 1,4 dioxane. IMPORTANT NOTE: all THREE of the above ingredients carry carcinogenic contaminant concerns created during manufacturing of 1,4 dioxane. The government allows 10 ppm (parts per million) in any one products, but no one is testing. 1,4 dioxane can be stripped for pennies, and must be done for any product exported to EU. RETINYL PALMITATE: in the presence of sunlight enhances skin cancer lesions by 21% (FDA, 2011 Report). It is in many sunscreens and moisturizers. NANOPARTICLES: can cross the cell barrier and drive into organs, including the brain in humans. There is no way of knowing particle size, unless stated on the label. EU manufacturers must list any nanoparticles. ALUMINUM and metals: these are bio-accumulative, meaning they store in your fat cells and accumulate, and are very hard to get rid of, in many deodorants. DIETHANOLOMINE (DEA) and COCAMIDE DEA, LAURAMIDE DEA: DEA reacts with other ingredients to become the extremely carcinogenic nitrosodiethanolamine. Beware of other ethanolamines like triethanolamine (TEA) and monoethanolamine (MEA). FORMALDEHYDE RELEASERS – DIAZOLIDINYL UREA, DMDM HYDANTOIN, QUATERNIUM: found in most personal care products. Formalydehyde can cause allergic reaction, dermatitis, join pains and headaches, cancer and immune dysfunction. SYNTHETIC COLOR/DYES: made from coal tar, which is a mixture of many chemicals, derived from petroleum. These colors may be contaminated with low levels of heavy metals and some are combined with aluminum substrate. Aluminum compounds and many heavy metals are toxic to the brain. ie. FD&C Blue 1, Green 3, Yellow 5 & 6, Red 33. GLYCOL (propylene, butylenes, etc): synthetic petrochemical mix known to cause allergic and toxic reactions. Has been linked to cancer, developmental/reproductive issues, neurotoxicity and endocrine disruption. MINERAL OIL: a petroleum ingredient that coats the skin like plastic wrap, disrupting the natural immune barrier, inhibitin its ability to breathe and absorb natural moisture and nutrition, and its ability to release toxins, which can promote acne and other disorders. The process slows down skin function and normal cell development causing premature aging. TALC: in the same family as asbestos, talc is dangerous to inhale and has been linked to ovarian cancer. SILOXANES: cyclomethicone and ingredients ending in “siloxane” (e.g., cyclopentasiloxane) are toxic, persistent, and have the potential to bioaccumulate. The EU classifies some as endocrine disruptors and possible reproductive toxicant that may impair fertility. Research shows some to cause uterine tumors and harm to the reproductive and immune systems. Some siloxanes can also influence neurotransmitters in the nervous system. Cyclomethicone is a mixture of three siloxanes. A big thank you to Ava Anderson Non-Toxic for this information.